Does Donald Trump Want a Financial Depression? There are many thoughts and policies floating around in the Trump administration that could lead to a financial depression. The disturbing issue for me is that the Austrian Economists who are influencing the administration do not believe that a financial depression is that big of a deal. After this issue is discussed, the concept of the strong dollar under Trump has to be addressed. The dollar is the reserve currency, and there is a tight, and potentially dangerous monetary regime regarding the use of it as the reserve. We can take away interesting concepts from Jeffrey P. Snider, Scott Sumner and Gary Shilling. As for financial depressions, it is true that Austrians point to the Depression of 1921 as an example of how quick you can recover from a real Depression. But there has to be enough credit in society to bounce off a financial depression like that one. Retooling of industry and credit availability caused it to be short lived. But financial depressions that are credit based can go on for years. You can call them Great Recessions if they aren't judged to be quite as bad as the Great Depression of the 1930's. Financial health does not bounce back very fast in a credit based downturn. We are experiencing painfully slow growth, which is not a normal reaction to recoveries, but is the new normal of recovery from the Great Recession of 2009-2009. And it isn't like the Fed fears taking the economy down either. They don't claim to be Austrian economists, but they sure act like they are in big downturns, with their mass liquidations and money supply problems. I know they can't tolerate inflation anymore because of the new normal. But can they reflate? I don't think so. The Austrians believe the money supply should be tighter and the dollar should be stronger. 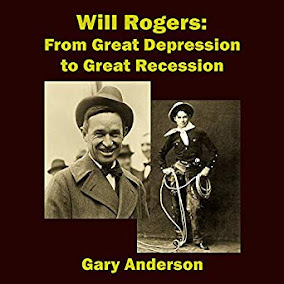 People should read articles like we see written by Jeffrey P. Snider to see tight money was the issue in the Great Recession and in the Great Depression of the 1930's. And it is the issue today with a weak world economy. It is almost like the Austrians want to punish the world economy and ultimately the US consumer for being credit based. Well, the money supply will decline without credit and there has been too little credit on mainstreet and too few dollars (and treasury bonds) abroad. 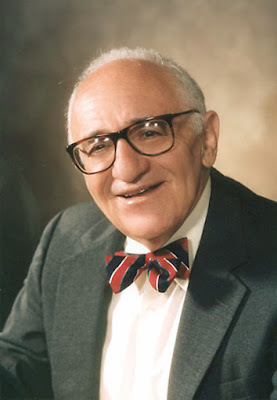 The Austrians like Rothbard didn't live to see the Eurodollar crash. Tight money can be seen even if the money supply increases, but increases too slowly compared to need and/or growth in the world economy. I personally believe it would not hurt Steve Bannon's feelings to take down the economy and rebuild it in his own image, quickly, like it was 1921. That is a chilling Libertarian thought and Bannon is a dreamer or even a nightmare. That does not mean that credit cannot go berserk and easy money hurt mainstreet. We have already seen that it certainly can, and swinging to really easy money has very bad consequences. But it almost seems as though Trump and the Fed both want to, for their own reasons, punish the main stream economy and the world and make it more expensive and tougher to get credit for the middle and lower classes. Trump may force bank deregulation if the economy gets too bad, resulting in another housing bubble. He appears to lack the votes to do deregulation now. We know the Fed wants to raise rates, and tighten money, and incubate the banks by giving them more interest on reserves than they get now. That will give them even more incentive not to lend. And Trump wants big tax cuts for big business and banks, which will take money away from mainstreet. That has happened before. Trump seems willing to help that false economy, the big US banks, while limiting the money supply to mainstreet, small US banks, and to the world. I thought he was against the false economy taking too many resources away from real people. Please don't tell me Donald Trump is a populist for the bankers! On top of all that, the border tax will be a tax on American consumers and on world financial dealings. As Gary Shilling says, the border tax will strengthen the dollar, the exact thing that Donald Trump does not want, but that Austrian economists love. Of course, the Austrian economists, who are an arm of the Libertarian movement, are engaged in crazy talk. I can show just how crazy it is if you read on. Shilling says that the border tax and stronger dollar will impact foreign financial deals, since the dollar is the reserve currency. That could weaken the world economy. Most financial transactions worldwide are in dollars. 2. Stronger economic growth in the US. As Shilling has said, we are headed for weaker growth overseas with a strong dollar, and that is the concern of Jeffrey P. Snider as well. 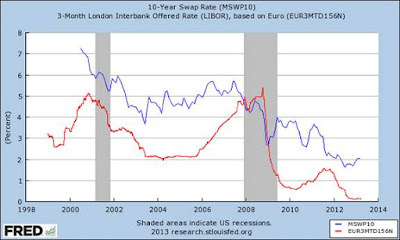 Snider warns of dollar shortages and blames the Fed. We do have the reserve currency. We have a responsibility to the world whether we like it or not. And a weak world economy will hurt America, by pushing up the dollar further and eventually stifling exports. Reflation will fail according to Snider. It has to. I am against the abuses of globalization, and have argued that putting America first where it is reasonable, can have economic advantages. But abandoning the world by border taxation and the like by the nation that has the reserve currency is likely a very bad idea. Trump was onto something with regard to the incentives to produce here. But this big business tax cut plan and border tax are potentially hurtful to our national interest, hurting labor by making life more expensive for workers and consumers and frustrating the world that does most of its transactions in offshore dollars, Eurodollars. Could a financial depression result from this policy coupled with Fed aggressiveness to stem the possible inflation from the plan? I hope we don't roll the dice to find out. This reckless disregard for the reserve currency, the dollar, is the kind of thing that prompts new world order conspiracy talk. You can't blame people for being concerned. If you want a real America first, it has to be a responsible first, with respect for the dollar as reserve for the world. A really bad world wide credit based depression could make lots of people pine for a replacement of that reserve currency. While most people discount that happening, there are a few folks in the the United States who lose sleep over that possibility and even far more draconian ideas about population control, which have been entertained by influential globalists over a period of many years. Trumponomics is reflating markets now. But when real policy is implemented, there will be a strong headwind to growth. As Jeffrey P. Snider has often said, the Fed didn't and doesn't know what it is doing. Can you imagine a scenario where Trump would know what he is doing? I can't.